Price £45,666.67 VAT £9,133.33 Total Ex Works £54,800. Total on the road price £56,200. 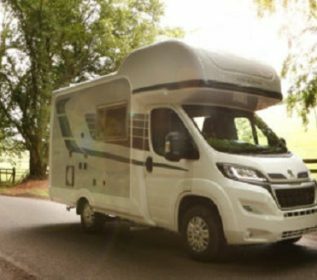 Auto-Sleeper Kingham with premium and winter pack £58,995. 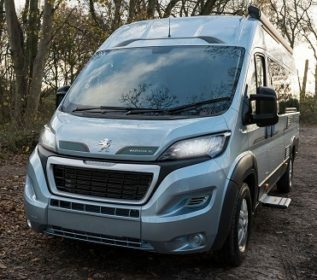 For 2019 the Auto-Sleeper Kingham 2019 van conversion sees the popular Limewash Oak interior furniture continue with slate surfaces and grey carpeting. Verada Oak finish, as an option, remains with cream worktops and is a no-cost option. In addition, we have the new Sargent control panel and tracker and in-dash satellite navigation. Sagrada fabric trim remains with 5 colour options. Truma’s iNet heating control and connectivity, via the Truma App, is standard along with an 80w solar panel. Finally, making a welcome return is a colour, hard-wired reversing camera while refillable gas tanks and AL-KO Air Top Suspension remain. 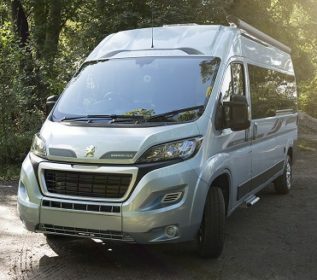 Auto-Sleeper Fairford with premium and winter pack £58,995. For 2019 the Auto-Sleeper Fairford 2019 van conversion sees the popular Limewash Oak interior furniture continue with slate surfaces and grey carpeting. Verada Oak finish, as an option, remains with cream worktops and is a no-cost option. In addition, we have the new Sargent control panel and tracker and in-dash satellite navigation. Sagrada fabric trim remains with 5 colour options. Truma’s iNet heating control and connectivity, via the Truma App, is standard along with an 80w solar panel. Finally, making a welcome return is a colour, hard-wired reversing camera while refillable gas tanks and AL-KO Air Top Suspension remain. 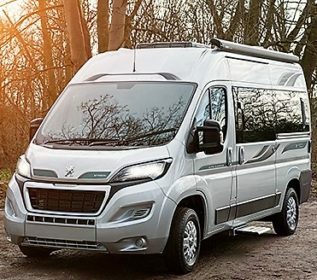 Auto-Sleeper Kemerton XL with premium and winter pack £58,995. 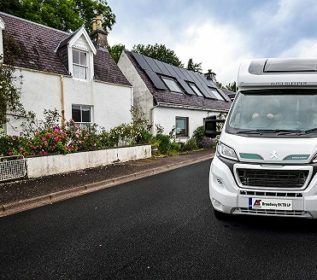 For 2019 the Auto-Sleeper Kemerton XL 2019 van conversion sees the popular Limewash Oak interior furniture continue with slate surfaces and grey carpeting. Verada Oak finish, as an option, remains with cream worktops and is a no-cost option. In addition, we have the new Sargent control panel and tracker and in-dash satellite navigation. Sagrada fabric trim remains with 5 colour options. Truma’s iNet heating control and connectivity, via the Truma App, is standard along with an 80w solar panel. Finally, making a welcome return is a colour, hard-wired reversing camera while refillable gas tanks and AL-KO Air Top Suspension remain. Auto-Sleeper Warwick XL with premium and winter pack £58,995. For 2019 the Auto-Sleeper Warwick XL 2019 van conversion sees the popular Limewash Oak interior furniture continue with slate surfaces and grey carpeting. Verada Oak finish, as an option, remains with cream worktops and is a no-cost option. In addition, we have the new Sargent control panel and tracker and in-dash satellite navigation. Sagrada fabric trim remains with 5 colour options. Truma’s iNet heating control and connectivity, via the Truma App, is standard along with an 80w solar panel. Finally, making a welcome return is a colour, hard-wired reversing camera while refillable gas tanks and AL-KO Air Top Suspension remain. Price £43,583.33 VAT £8,716.67 Total Ex Works £52,300. Total on the road price £53,700. 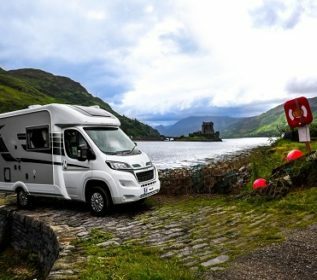 Auto-Sleeper Symbol Plus with premium and winter pack £56,495. 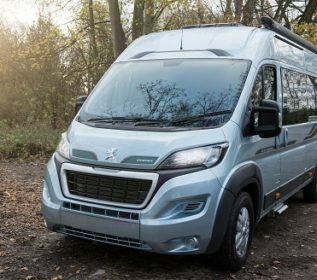 All new for 2019, the Auto-Sleeper Symbol Plus 2019 van conversion features Auto-Sleepers’ popular Limewash Oak interior furniture with slate surfaces and grey carpeting. The Symbol Plus is an all new layout combining the best of two worlds, the lounge of the standard Symbol with the kitchen of the outgoing Stanway. Standard features include Sargent’s new control panel and tracker, an 80w solar panel and in-dash satellite navigation. Sagrada fabric trim is standard with 5 colour options. Truma’s iNet heating control and connectivity, via the Truma App, is also standard. Finally, making a welcome return is a colour, hard-wired reversing camera while refillable gas tanks and AL-KO Air Top Suspension remain. Auto-Sleeper Warwick Duo with premium and winter pack £56,495. 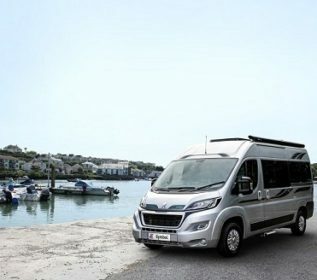 For 2019 the Auto-Sleeper Warwick Duo 2019 van conversion sees the popular Limewash Oak interior furniture continue with slate surfaces and grey carpeting. Verada Oak finish, as an option, remains with cream worktops and is a no-cost option. In addition, we have the new Sargent control panel and tracker and in-dash satellite navigation. Sagrada fabric trim remains with 5 colour options. Truma’s iNet heating control and connectivity, via the Truma App, is standard along with an 80w solar panel. Finally, making a welcome return is a colour, hard-wired reversing camera while refillable gas tanks and AL-KO Air Top Suspension remain.